Heat-ready Nordica PFP Performance Fit FSE liner and Comfort Fit footbed with high rigidity and elevated arch. Faux Fur/Fleece. Flex Rating. 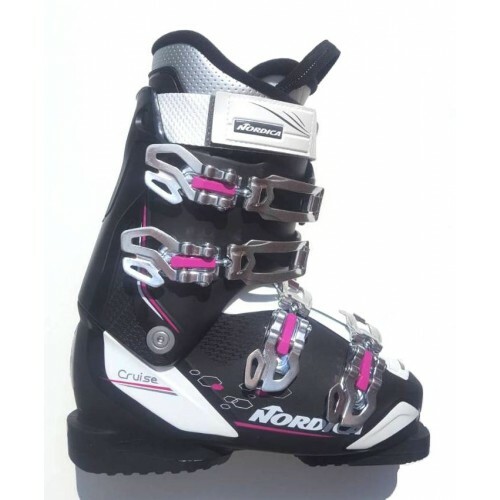 Designed for those who love to carve, the Nordica CRUISE W Ski Boot is extremely comfortable with the 3D comfort Women’s fit that is engineered for the shape of a woman’s calf.